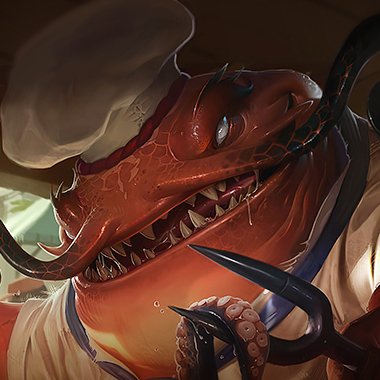 Tahm Kench is a tank support with extreme sustain and a fair amount of CC as a result of his passive, An Aquired Taste. 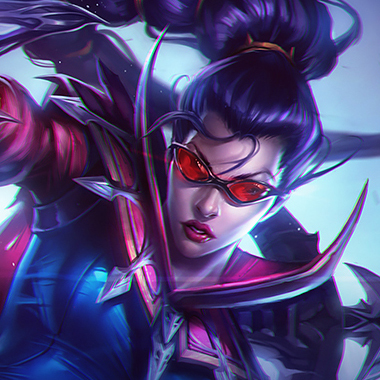 Thanks to his ability to generate grey health, he can also survive for longer periods of time than other champions while under fire. Most unique about him is his ability to eat other champions either save them or doom them as well as his ability to travel across the map, and bring another champion with him, making for absurd gank opportunities with this champion. He's basically what 5+ years of power creep does to a character, but in spite of this, he is still beatable. 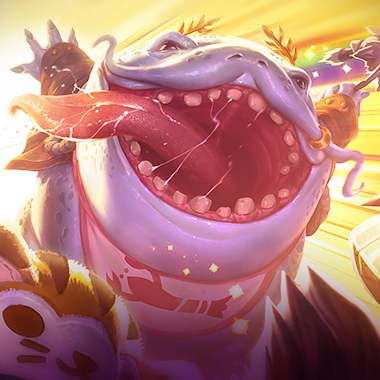 Tahm Kench puts the heft of his immense body behind his attacks and abilities, gaining extra damage based on his total health. Damaging enemy champions builds stacks of An Acquired Taste. At three stacks, he can use Devour on an enemy champion. Tahm Kench lashes out with his tongue, damaging and slowing the first unit hit. This ability gains a stun after three stacks of An Acquired Taste. Tahm Kench devours a target, dealing a percentage of their maximum health as magic damage. He can spit devoured minions and monsters out as a skillshot that deals magic damage in an area upon impact. Tahm Kench turns incoming damage into gray health. 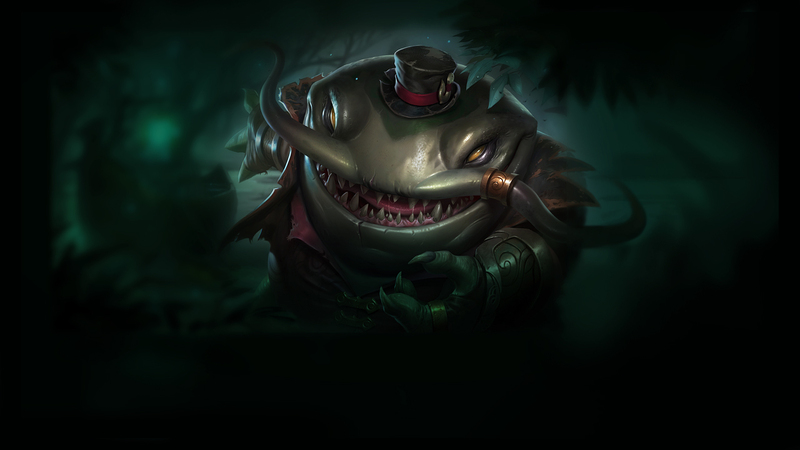 As gray health decays, Tahm Kench is healed for a percentage of the gray health amount. When activated, this ability turns all gray health into a shield. Begin to channel for up to 6 seconds. During this time, one ally champion can right click Tahm Kench to join in. Alternatively, reactivate this ability to travel alone. On reactivation or once an ally has opted in, Tahm travels to the target location. Incoming champion damage breaks the channel. If Tahm uses his grey health, he misses out on a large amount of healing, so consider every grey health usage a small victory for you. Be careful when Tahm leaves lane. He may ult back with a jungler. Disengage from Tahm if you get a stack of An Aquired Taste on you. If he's adamant about fighting you, and you're something that typically outdamages him, that means he has help coming. 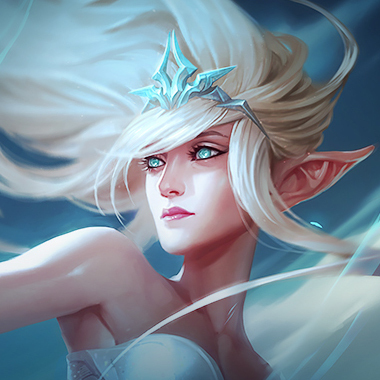 Janna can easily get Tahm Kench off of a target, or slow him down when he's running away with an enemy champion, or just completely ruin his ultimate by knocking him back, or up, when he appears. Percent Health True Damage. 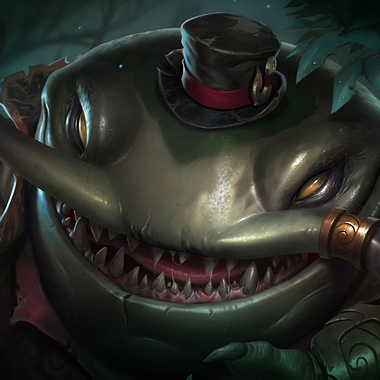 Tahm Kench builds almost exclusively health, so if there was ever a time to show off your sick Vayne mechanics, it's against this guy. You can just punish him for being melee and get your hyper proc every time he wants to farm. 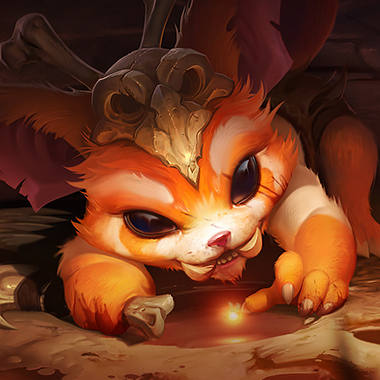 You can easily run or chase him, and when you turn into Mega Gnar you're just way stronger than him. If he's REALLY oppressing you, you could get a QSS, otherwise just buy wards to ensure that you see him coming.